Housing the Information Service Systems department at Lancaster University, the ISS Building was designed by architects Wilson Mason to be modern, interactive and use cutting edge technology. So when traditional roof lights did not provide the flexibility required by the scheme design, ETFE cushions were selected as an alternative. In total eleven ETFE foil cushion skylights were required over the new office building. The rise of ETFE as a building material has seen it used as a rooflight material across the world however the ISS Building required a more complex system than the ETFE commonly used and therefore design was likely to be a more design intensive process. 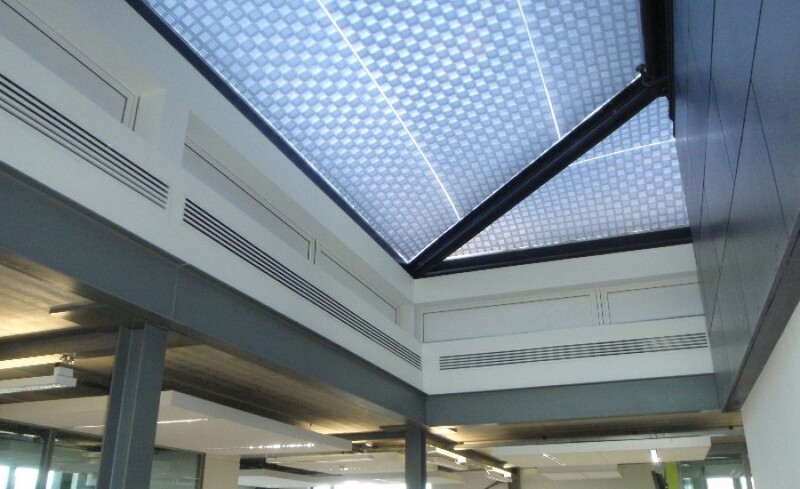 After a competitive tendering process, Architen Landrell was selected to design, manufacture and install the ETFE foil rooflights. 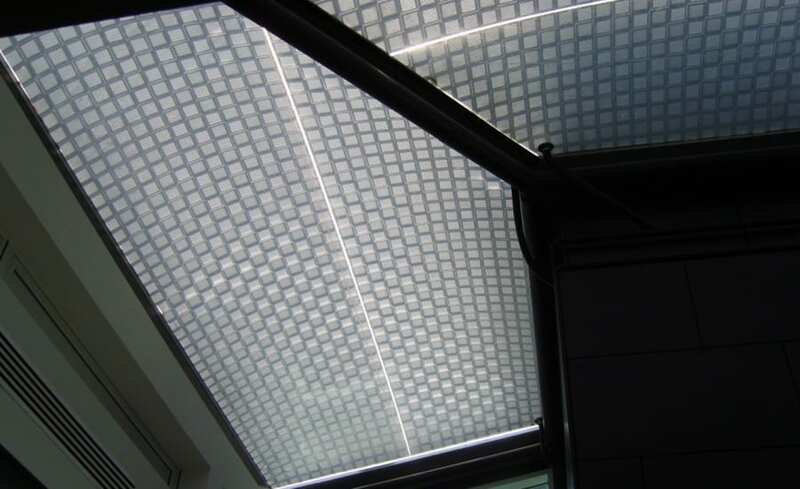 In order to monitor and control the environment below which houses environmentally controlled server suites which must be kept cool and ventilated, our client required a movable shading system. 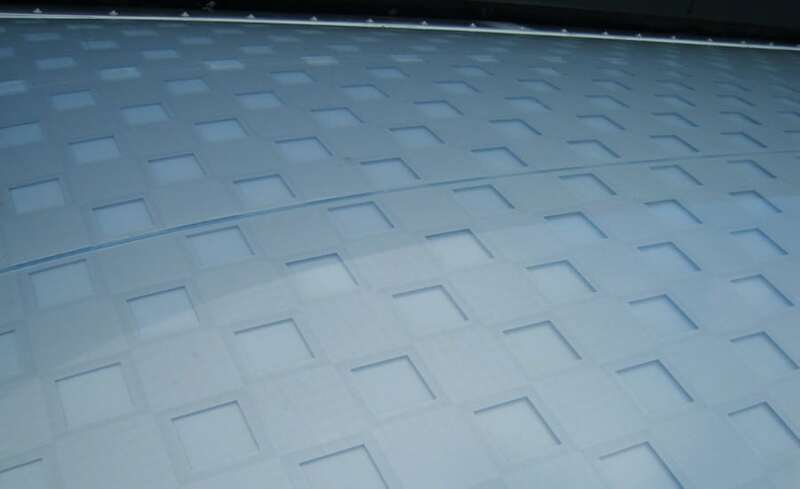 By combining specialist printing, and a three layer ETFE cushion system, the middle layer can be positioned to block or release light as and when required. 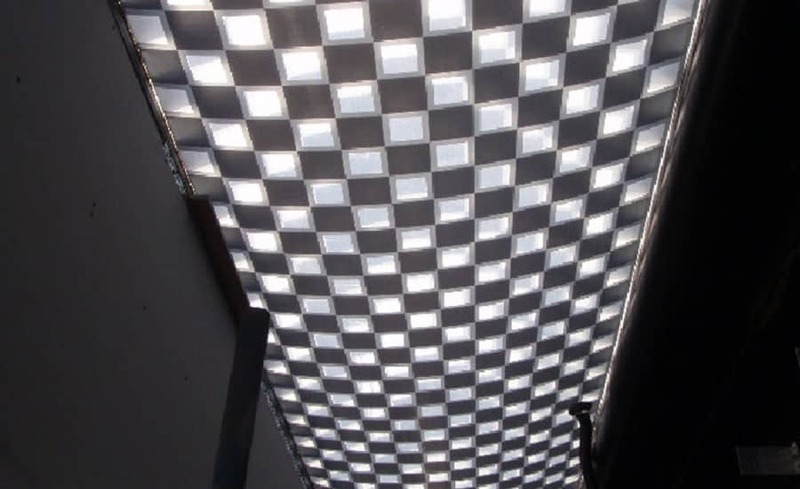 At Lancaster University, a printing pattern made up of offset squares on the top and middle layers of ETFE foil was designed so as to maximize the effective overlapping of the printed shading ink when required. On an ongoing basis, the buildings BMS system monitors the temperature of the space below and when required automatically informs our advanced control system to alter the air pressure in the cushion chambers. By doing so the change in air supply collapses or inflates the top air pocket causing the squares to meet or part. This in turn impacts on the shading coefficient and adjusts the temperature of the space below. Designing, printing and patterning the ETFE foil so as to provide the most even and consistent shading level possible was a challenge. Architen Landrells Project Manager Clive Loebenstein-Peckham worked closely with the printers to ensure that the aesthetics and technical properties of the material were in line with the design specification. The shading system functions as designed and has proved a very practical solution to the design problems set.